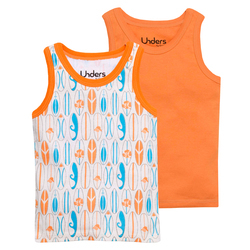 Unders are your little one's sleeping, lounging, stay at home outfits! 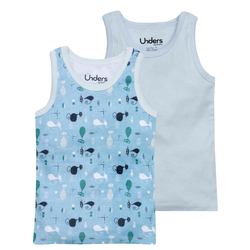 GroVia's Unders Tank Tops are made from cozy 100% cotton material and feature a simple unisex design that is perfect for boys and girls to wear under clothing, or by themselves. 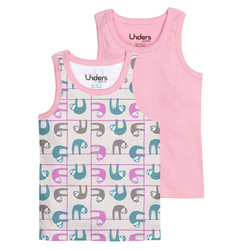 Each pack comes with one print and one solid tank top, allowing your little one to mix and match with GroVia's Unders Underwear! 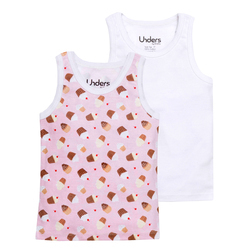 Unders are your little one's sleeping, lounging, stay at home outfits and comfy all-the-time undies! I knew in advance that these run very small. 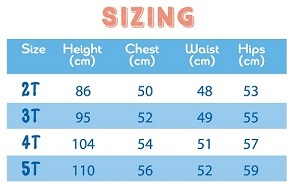 I ordered the 2T for our 8 month old and the tops fit perfectly with a LITTLE bit of room to grow through the summer, but the bottoms need to be roomier to accommodate for cloth diapers. They do fit, but they're snug. I love the prints. 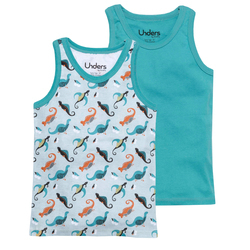 The material is soft and I love these for my twin toddlers. 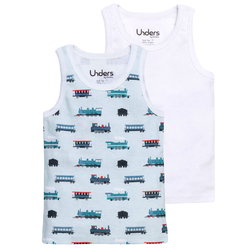 My boys aren't potty training yet, so we just pair the tank top with a cloth diaper. They do run a bit small. 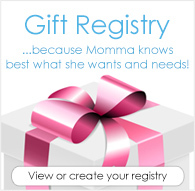 I recommend bumping up a size. There's nothing terribly special or unique about these but they are soft and no tags to irritate little ones necks. They match the underwear and make a cute little outfit to run around the house or sleep in so definitely worth the investment if you're? buying the bottoms.